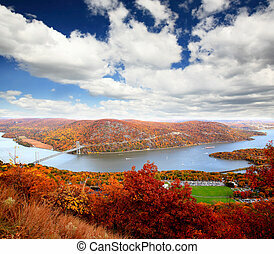 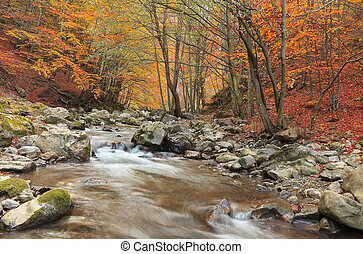 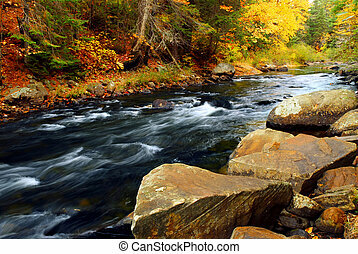 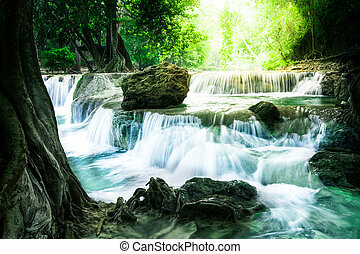 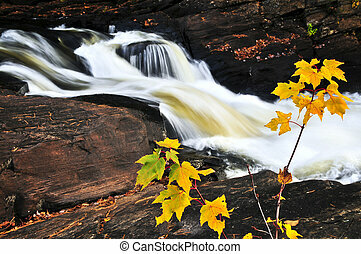 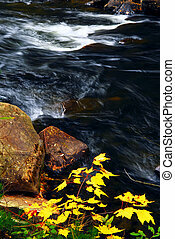 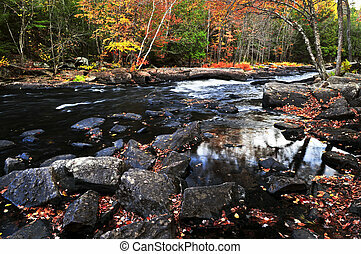 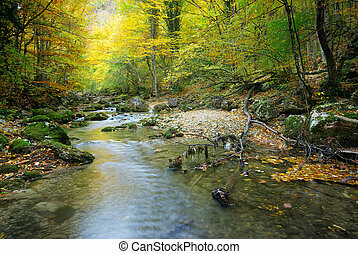 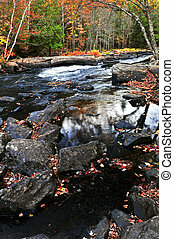 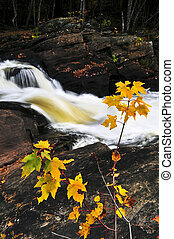 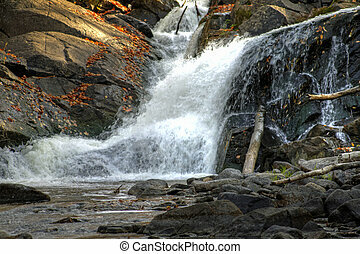 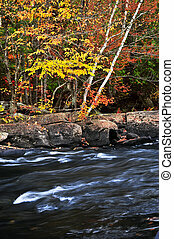 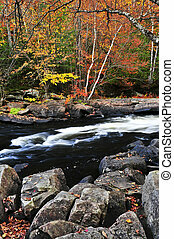 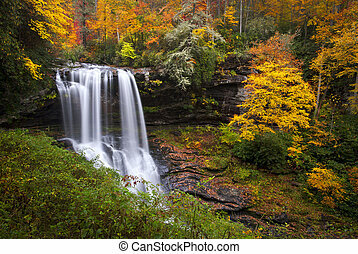 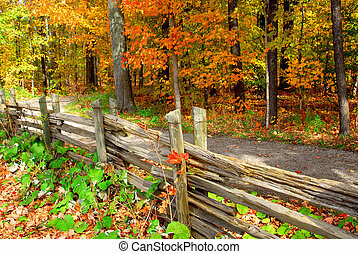 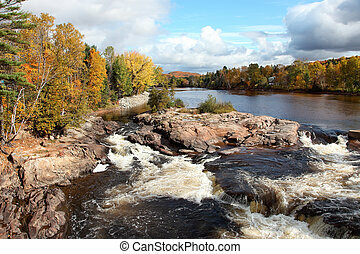 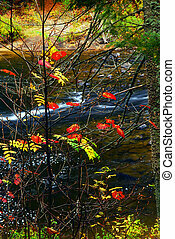 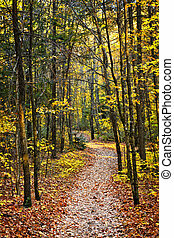 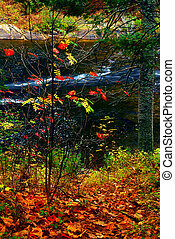 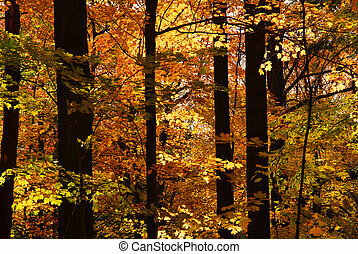 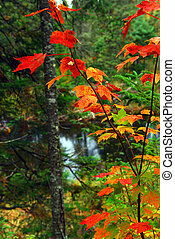 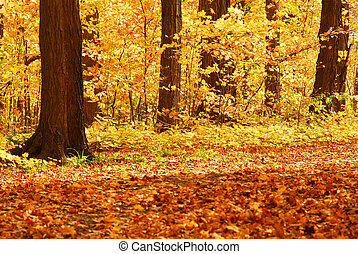 This is a beautiful view of a cascading river on a fall day. 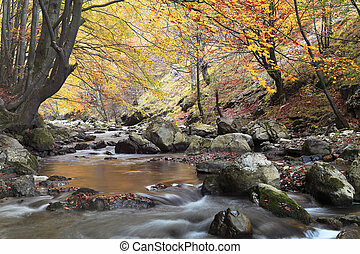 Beautiful autumn forest with a river in Ramet gorge,Transylvania,Romania. 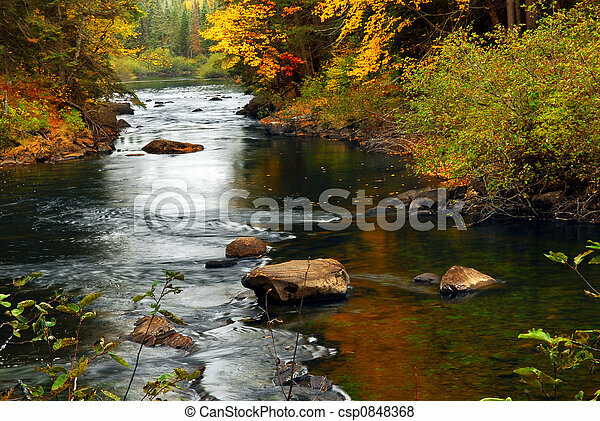 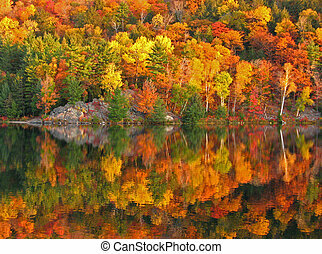 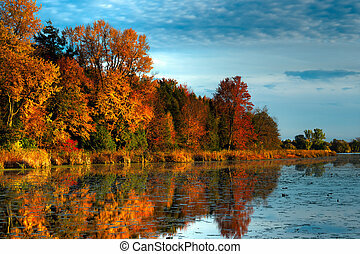 An HDR landscape of a forest in beautiful fall colors reflected in the still waters of a calm river in Ontario, Canada. 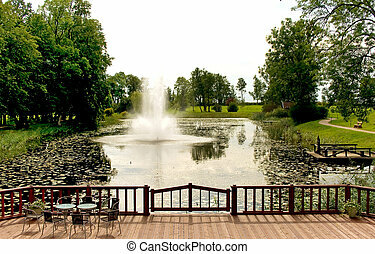 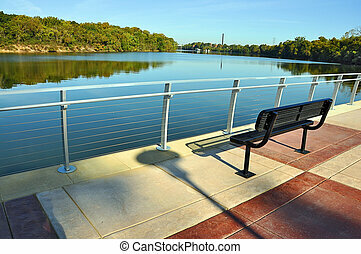 Park bench on pavilion overlooking river. 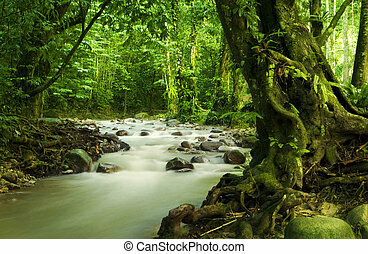 Tropical rainforest and river at Selangor State, Malaysia, Asia. 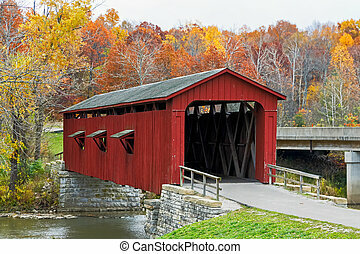 Indiana's Cataract Covered Bridge is photographed with brilliant fall foliage.